“Tale of Tales”, ravishingly grown-up fairy tales. Stacy Martin in Tale of Tales. As is so often the case, there was something mildly unsatisfactory about the prizes meted out at last year’s Cannes Film Festival. Though in retrospect, given what happened at this year’s Festival, last year’s winners feel like a vintage batch. If places like Cannes keep giving the likes of Ken Loach and Mike Leigh prizes like that, then obviously they’re going to keep sullying the cinematic landscape with more of the same. 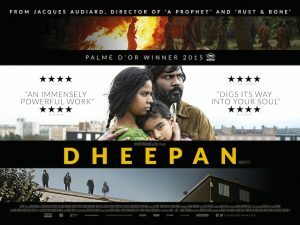 Last year’s Palme D’Or went to Dheepan, at the expense of Carol which got the consolation prize of Best Actress for Rooney Mara. But both left you ever so slightly deflated, the former settling into conventional thriller mode, the latter being too coolly mannered. But the one that got away was Matteo Garrone’s Tale of Tales, which somehow failed to win anything. Rooney Mara with Cate Blanchett as Carol. Garrone burst on to the international scene in 2008 with Gomorrah, his much praised adaptation of Roberto Saviani’s unmasking of Neapolitan corruption. But you always had a sense that that film had been lauded more for its moral intent than for its artistic merit. And its episodic nature denuded it of any sense of narrative drive. There’s an episodic feel to his latest film too. But on this occasion and unusually, the separate narrative strands that seem to exist independently of one another, and only eventually meet thanks to a clumsily forced ending, produce a film that feels both natural and earthily alive. That’s because Tale of Tales is based on three of the fifty or so fairy tales that were collated by Gianbattista Basile in 17th century southern Italy. 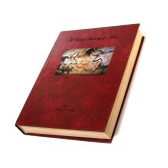 And fairy tales are the one genre where narrative drive takes a back seat. Here, for once, it really is all about character. And what emerges is a very different Italian landscape to the one Garrone previously showed us, free here from any sense of moral lessons to be learned, and all the better and more alive because of it. The first of the three sees Selma Hayek as a queen hell bent on being provided for with child. But the boy that is eventually produced arrives as a twin, and inevitably there’s a price for her determination to have had him. The second revolves around John C. Reilly as a king whose selfishness results in his failing to more properly administer to the needs of his daughter. And the third, and the most tangibly tactile of the three, follows a magnificently debauched king, played with lusty gusto by Vincent Cassel, as he is led forever by his desire to pursue whatever it is that has momentarily caught his fancy. 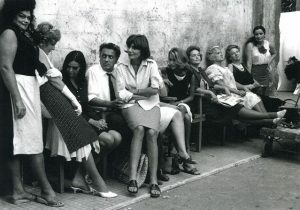 Fellini looks up at la Seraghina on the set of 8 1/2. Though when that eventually leads him to Stacy Martin draped in nothing more than a cascade of fiery curls that just about preserve her modesty, you could be forgiven for wondering whether selfishness might not be being given something of a bad rap. Sumptuously photographed and shot entirely on location at various castles throughout Italy, Tale Of Tales is a wonderfully grown up and magnificent beast of a film. And Garrone has that Felliniesque urge to cast as much for an actor’s physical presence as for their ability to deliver lines. Franco Pistoni’s turn as the necromancer is particularly striking, and the wollowy form with hollowed cheeks that bares down on the Queen was never going to be the barer of good news. And so it proves. Tale of Tales demands to be seen in the cinema, and is released in Ireland and Britain this June. You can see the trailer here.